Have you heard of Spam? No, not the unwanted emails you get in your inbox from those companies selling ways to increase the size of body parts! We’re talking about the pre-cooked meat sold in cans that was introduced during World War II. At the time, the U.S. military needed a way to feed its troops on the front lines with food that would not spoil and could easily be transported, so Spam was born. The Hormel Food Corporation invented Spam in 1937, and continues to innovate by introducing new flavors, and different ways to cook it. There are 16 varieties including flavors with bacon, Portuguese sausage, cheese, jalapeños, hickory smoke, chorizo, teriyaki, and versions with less sodium or single servings. 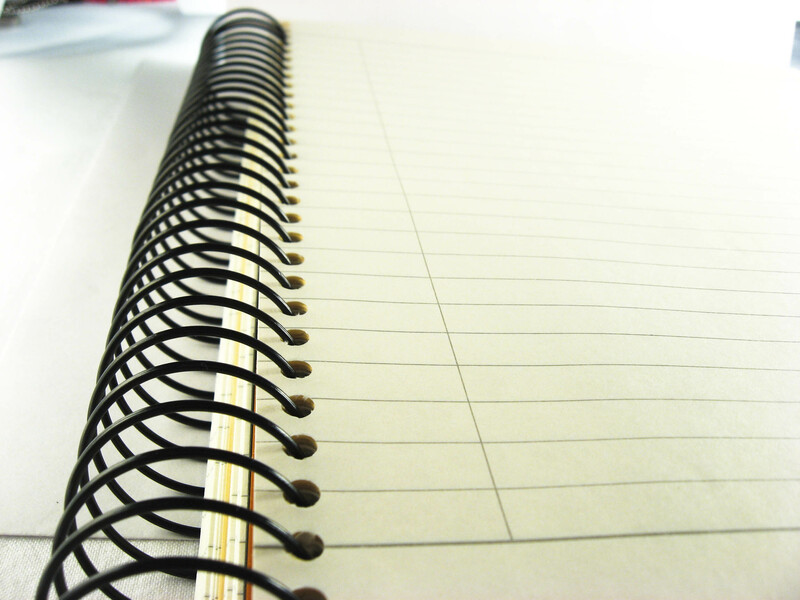 The product has grown substantially since it was first produced and is being sold in over 40 countries. People in Hawaii love their Spam. 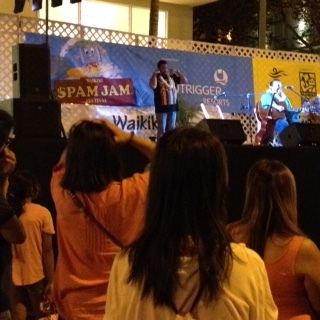 Every year they hold a Spam Jam Festival in Waikiki. 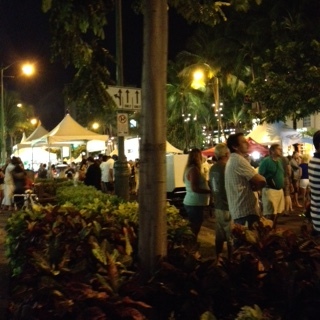 Kalakaua Avenue, the main street in Waikiki, is closed off to hold this party that spans several blocks. This year, there were two bandstands featuring local musicians, tents with vendors from various restaurants selling their best Spam-inspired dishes, and tons of Spam merchandise selling for outrageous prices. 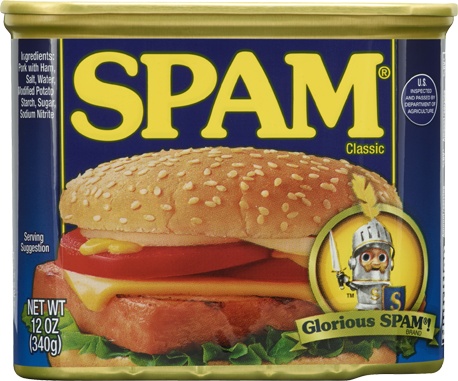 Spam is so big in Hawaii that you can buy it any day of the week at McDonald’s in their local breakfast platters featuring Spam, or at the local convenience stores, including 7-Eleven’s, as Spam Musubi. 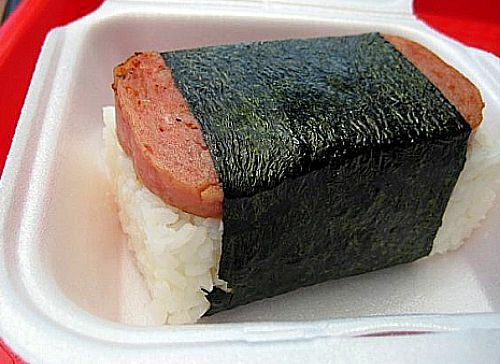 This popular food looks like a large California-style roll made of sticky rice and Spam wrapped in seaweed. People eat Musubi for breakfast, lunch, snack or dinner. As you can imagine, the local food bank gets more than their share of Spam! In a 2 ounce serving, they show 6 g of saturated fat, 790 mg of sodium, 40 mg of cholesterol and a total of 180 calories. If you have 2 servings, as a typical person you’ve gone over your 1,500 mg recommended intake of sodium for the day, and just under the 13 g of saturated fat for the day. If you like Spam, we know we’re bursting your bubble. As the old adage goes, “All in moderation.” You can still enjoy Spam occasionally. Remember, just don’t overdo it. Given this past weekend’s Spam Jam Festival, Spam was a convenient product for us to highlight the point that processed foods contain more preservatives, sodium, and other ingredients you don’t need in your diet. We recognize that we’re all so busy with work, after school activities, household responsibilities and social schedules. However, there are quick and easy ways to prepare meals without using processed foods. When shopping for convenience, buy whole, raw foods like vegetables, fruits, and quick-cooking grains like quinoa or whole-grain couscous. One evening per week, cook extra chicken, fish, or beef, and divide into portions to store into containers for meals throughout the week. Do the same with grains like quinoa and brown rice. These foods easily re-heat. Buy pre-cut and pre-washed veggies and fruit. Alternatively, cut extra veggies and fruit for meals the next day. Share the ‘cooking burden’ with friends. Prepare an extra serving or two to share with a friend and have them do the same for you. Swap ready-to-heat meals for the next day. Freeze your favorite homemade dishes like lasagna or enchiladas by preparing two smaller servings rather than a large one. Eat one serving and freeze the other. We know you’ve got some tricks up your sleeve on how to make meal time easier. Please share yours with us in the comments so we can all benefit.